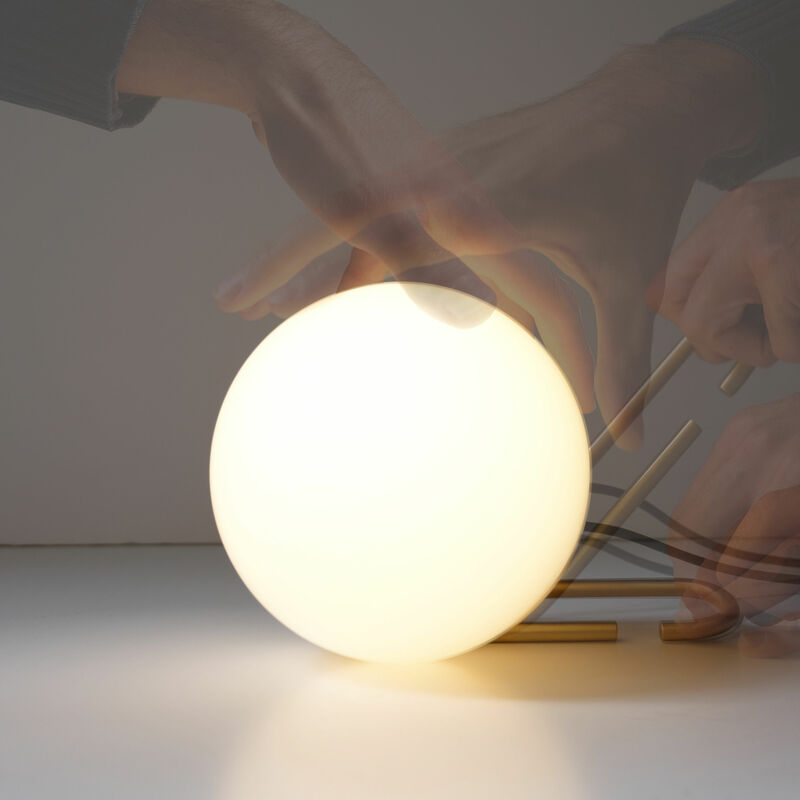 A very poetic wireless lamp... 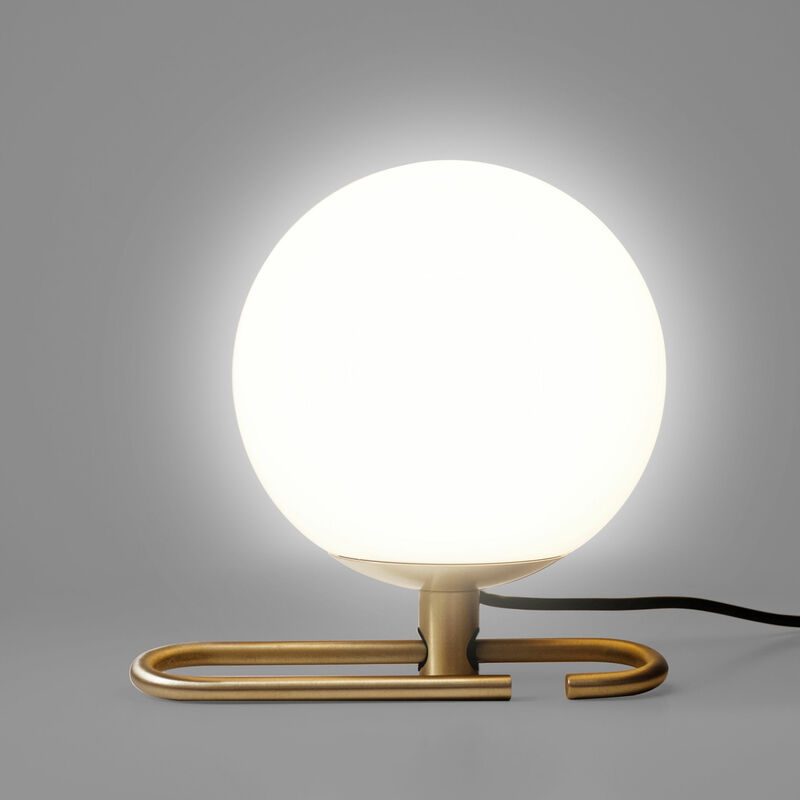 Developed by the Chinese studio Neri&Hu, the Nh light gives pride of place to oriental culture and tradition while maintaining a contemporary approach. 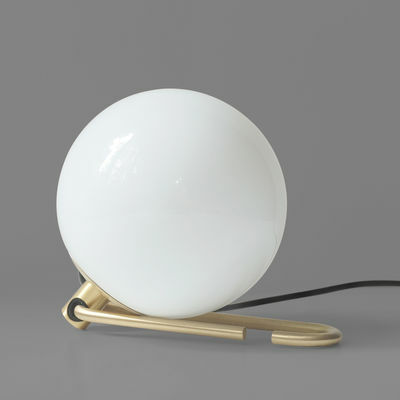 This table lamp is made of a white blown glass sphere mounted on a brushed brass ring. 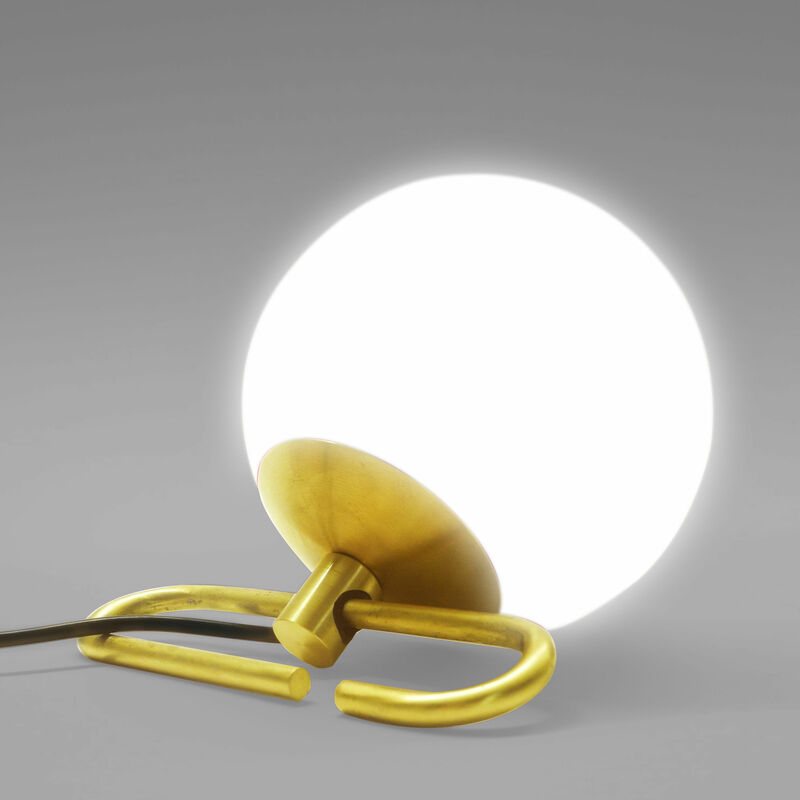 Taking the form of a carabiner, this articulated base can adopt multiple positions. 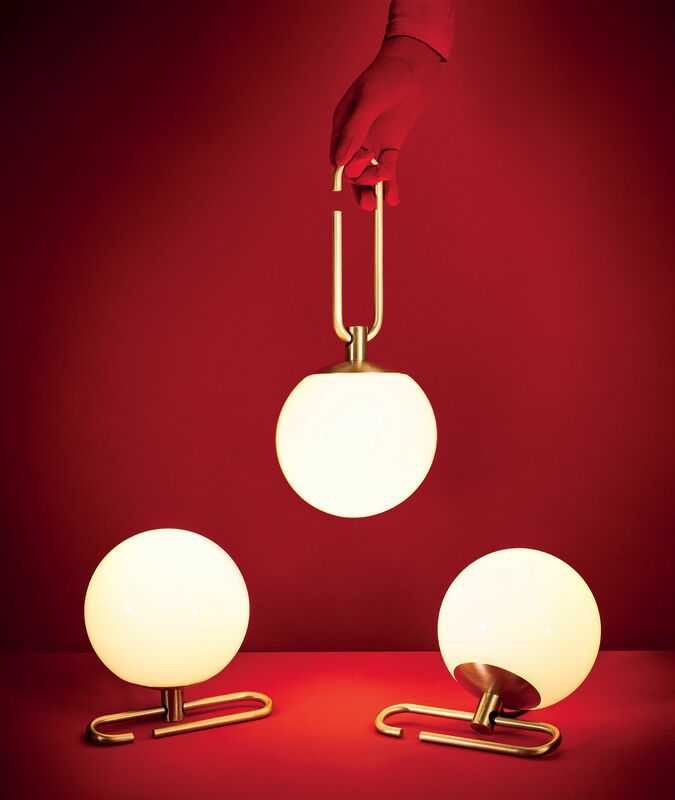 Like a pendant on a necklace, the spherical diffuser slides along the brass ring offering a multitude of possible configurations. 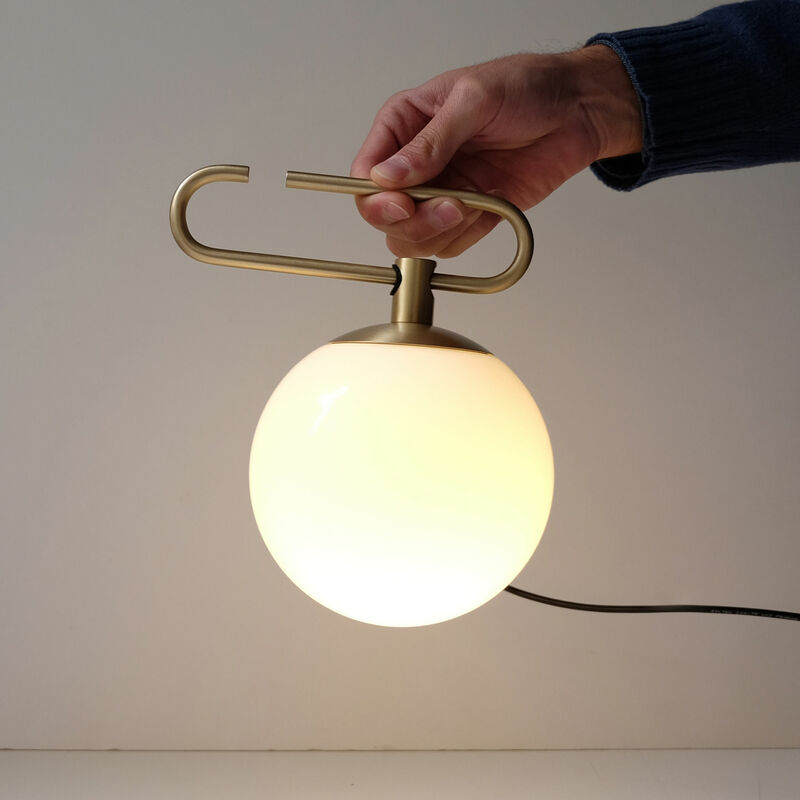 This stylised snap hook can also serve as a handle to easily carry the lamp or the hanging ring (to hang the lamp on a wall hook for example). 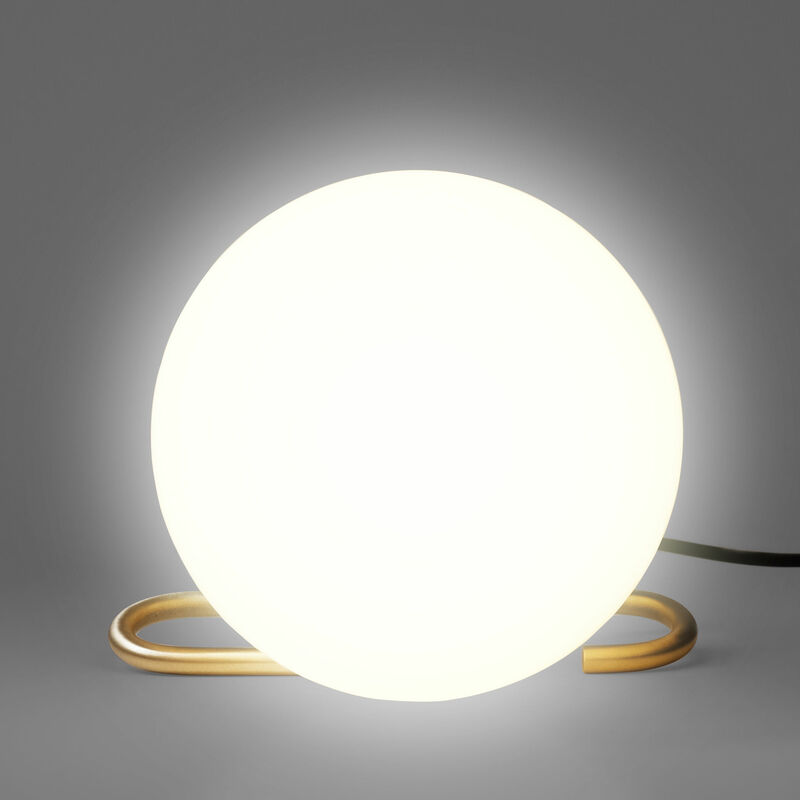 Nh is a versatile and portable lamp which can be placed and hung everywhere. It will happily cater for all your requirements! It comes with a cable for connecting to the mains. Thanks to its low consumption retrofit LED source, Nh benefits from a responsible design and gives off a gentle and diffuse light. 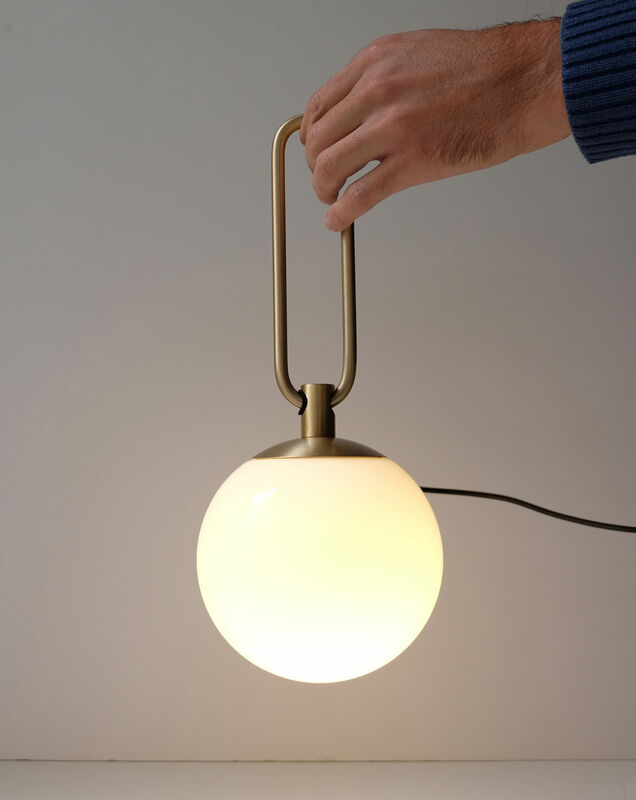 What's more, the choice of materials creates a superb combination between tradition and innovation which will go wonderfully in each of your rooms. 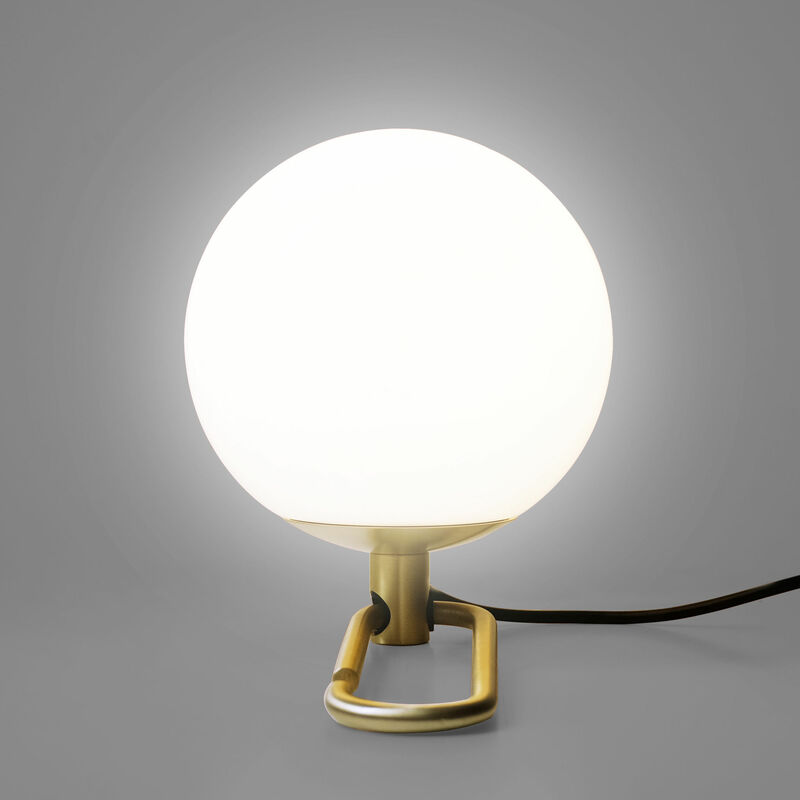 In order to create different compositions and coordinate your light sources, the Nh light is also offered in other ceiling (with a single structure and several diffuser sizes) and wall light options.